Can design trump specifications in the Indian market? 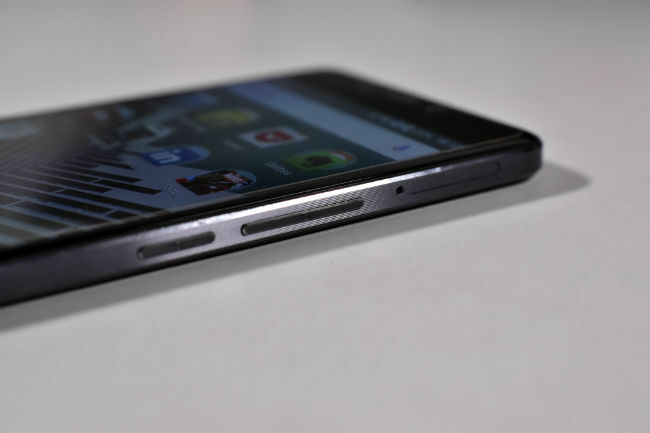 The OnePlus X may be the first phone to take that question, head-on. With its second smartphone of the year, and only the third ever, Chinese upstart OnePlus is betting on looks more than specifications. 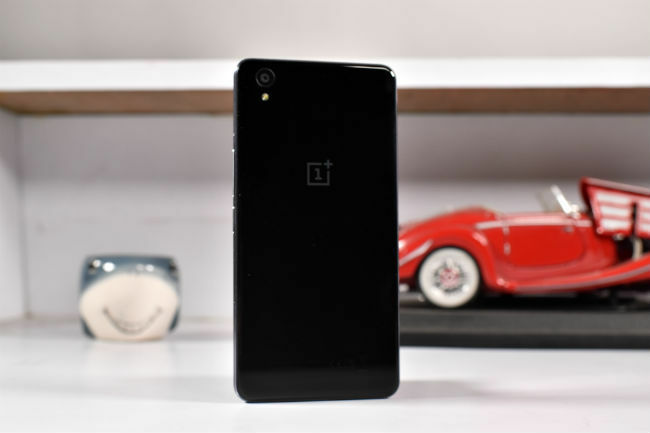 The OnePlus X is a complete departure from anything that the company has done so far, and closer to co-founder Carl Pei’s comparisons with Apple. 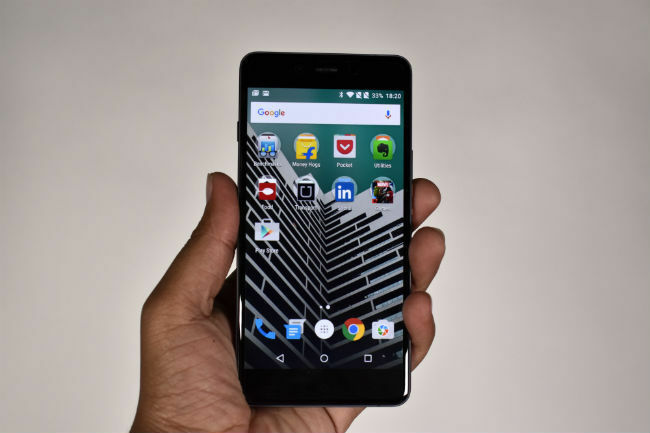 If the OnePlus One and OnePlus 2 strived to get the best possible performance at the lowest possible price, the OnePlus X brings top notch design. The emphasis here is the experience, and I daresay OnePlus has done it better than Motorola. Why do I say so? Here’s the OnePlus X review. This is really where this review should end. The OnePlus X is a glass bar built with metal on the sides. The tapering around the corners adds to the look of the device, and the glass gives it a really premium feel. It is also a problem, though. The glass on both sides means there’s more to break, and putting a cover on this phone ruins all its aesthetics. What irks me even more is that the glass is also slippery, requiring a cover even more, the results of which I’ve already mentioned above. In my first impressions, I mentioned that the phone is a fingerprint magnet, and it is, just not as much as I thought it was. My review unit is the Onyx variant, and while I can see my fingerprints on the phone, they’re nowhere close to being really bothersome for me. The OnePlus X just feels really good when I'm holding it, and the combination of metal and glass makes me feel like it’s a really premium phone. It’s not that the bar design is anything new for Android, just that we’re not used to getting such well-built smartphones in this price range. It turns heads when you’re in public, and it looks and feels great. It weighs 138 grams and is 6.9 mm thick, but more importantly, it’s only 5.5 inches tall, about 0.1 inch more than the iPhone 6s. This makes it a really compact smartphone that is easy to maneuvre and hold. That’s something you don’t find easily today. 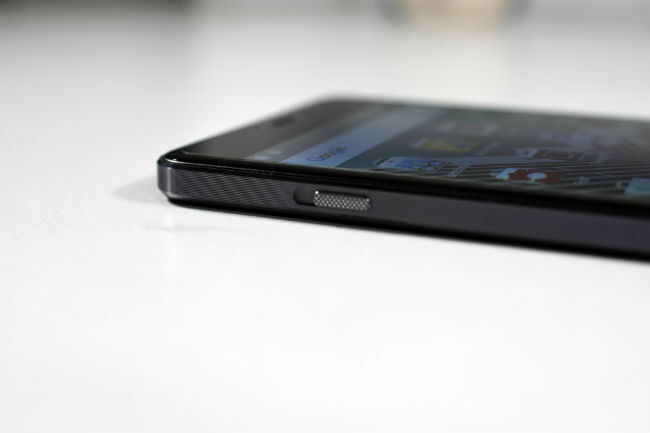 The OnePlus X is a 5-inch smartphone done right. The ‘experience’ that OnePlus talks about in this smartphone is a combination of three things – the materials used to make the phone, its size and the display. The 5-inch AMOLED display has one task here, to deliver the deepest blacks that it can. Unlike the OnePlus 2, this phone comes with the dark theme from Oxygen OS, by default. In screens like the Settings menu, this delivers a seamless feel. The Onyx variant is black, and with the dark theme, the display blends into the bezels on the top and the sides. In addition, Gorilla Glass 3 used on the screen adds to the touch experience, furthering OnePlus’ agenda of delivering a good customer experience. The 5-inch 1080p AMOLED display is sharp, bright and vibrant, which is what most of us like on our smartphones. It doesn’t have the overdose of yellow that Samsung’s high-end S-AMOLEDs have, keeping the yellowish tint to a minimum. A bug that I have experienced was in turning the phone on and off. When rebooted, the phone’s display becomes dim, even though the brightness is turned to full. I had to turn down the brightness and then turn it back up to get the brightness to what it was supposed to be. It’s definitely an issue with my unit alone though. Speaking of the dimness of the display, that’s perhaps the only downfall here. The OnePlus X is very bad in sunlight. Even with adaptive brightness turned on, the phone’s display is far from being good under direct sunlight. Despite the experience though, it’s hard to discount the fact the the Snapdragon 801 is hopelessly outdated now. It’s not a 64-bit SoC, which means that you won’t be able to run apps at their optimal performance levels. Perhaps a MediaTek Helio X10 would have been a better choice for this phone, by OnePlus. The company has tweaked Oxygen OS enough to draw out as much performance as it can from the Snapdragon 801 though, and going by the numbers, the OnePlus X is a better performer than the Moto X Play, and some others. I’d still choose the Asus Zenfone 2 (4GB RAM) over this phone if I were looking for performance, though. In regular usage, the OnePlus X does very well, and the overall feel of the device really makes you forget the lags and stutters that you see. In fact, most of the lags and stutters are more likely because of Oxygen OS’ instability than the older SoC. In gaming, the Snapdragon 801 is still a better bet than the Snapdragon 615 in the Moto X Play, but if you’re looking for the outright best performer, the Asus Zenfone 2 is the one you should pick. Perhaps the biggest downfall of the OnePlus X is in the fact that it doesn’t sport a fingerprint sensor. While OEMs have only just begun putting fingerprint sensors on budget and mid-ranged devices, it would have taken the attention away from the Snapdragon 801 on this phone. To clarify, the SD801 isn’t a bad processor, it is simply outdated, which means your phone isn’t exactly future proof. 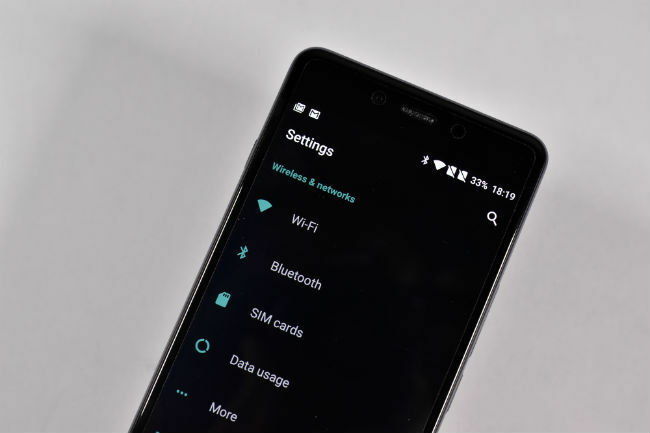 Also, as a result of this, the OnePlus X supports only the FDD-LTE bands for those using 4G data connections on their phones. The camera is another positive element of the OnePlus X. The 13MP rear camera lacks really sharp details, but makes up for it with really good colour reproduction and fast shutter response. While images do become a tad dull under lower light conditions, the phone can deal with most situations quite well. In addition, the 8MP front camera is also quite good for selfie lovers. The software softens pictures a little bit, which is often what you need for selfies, and it doesn’t overdo the effect. While I can make some sense of all of the choices that OnePlus has made with the OnePlus X, the 2525 mAh battery baffles me. Android has never been a battery friendly OS, and despite what OnePlus has done with its Oxygen OS, the OnePlus X can’t last more than 10-12 hours. Under heavy usage, with the screen brightness turned to full, about 6 calls, lots of texts on WhatsApp, about an hour or so of gaming, lots of web browsing and some clicks using the camera, the OnePlus X died at about 10 hours. Like I wrote in the OnePlus 2 battery test, this is fine for most users, but power users may still require more. The biggest problem I have with the OnePlus X is that it comes with only 16GB of internal storage. While it can be expanded to 128GB, internal storage is very important in phones today. Most apps, especially those that stream music, movies etc, perform the best when the data is kept on the internal storage. SD cards can often affect performance, and 16GB, even with SD card support, is simply not enough. There’s a particular kind of user who should buy the OnePlus X. I gave this phone to a friend of mine, and she wanted an invite immediately, simply because of how premium it feels. If you care about the build quality and looks of your smartphone, then the OnePlus X is ideal, and comes with a good camera and respectable battery life. On the other hand, if you want cutting edge specs, with best in class performance, then this is not the phone you go for. Which is better Lenovo Vibe S1 or OnePlus x?